What Causes Dry Mouth At Night? A question I get asked a lot is "what causes dry mouth at night?" The answer is that a dry mouth at night is usually caused by mouth-breathing when you are asleep. But there are several reasons why you might be breathing through your mouth. Assuming that you do NOT have a dry mouth during the daytime, we can rule out most of the more common Dry mouth causes. The most common cause of dry mouth, by far, is medications prescribed by a doctor, although some non-prescription drugs can also make your mouth feel dry. So if you are NOT getting a dry mouth through the day, we can safely say that it's UNLIKELY to be a MEDICATION that's causing your dry mouth at night. 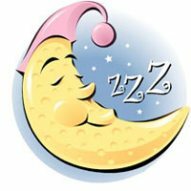 BUT if you are taking a medication to help you SLEEP, then sometimes you can sleep so soundly and are so relaxed that your jaw muscles relax too, so your mouth sags open when you are asleep, and you end up breathing though your mouth. It's important to understand that it's not the medication itself that gives you a dry mouth. It's the fact that you are so deeply asleep that your mouth falls open, and you are mouth-breathing. In this case, it's the indirect effect of the medication. Let me repeat that: mouth-breathing is what causes dry mouth at night. To get the best dry mouth relief, we need to pin down why you are breathing through your mouth at night. Snoring. 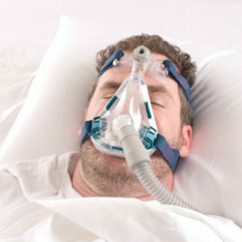 When you snore at night, your airway is partially blocked, and you are almost suffocating. Of course, your mouth is open, and this is what gives you a dry mouth at night. But the snoring is a much more serious problem than dry mouth. Wearing a CPAP. This stands for Continuous Positive Airway Pressure, and it's a small mask that you wear at night, attached to a pump that maintains a supply of air under pressure. This helps to stop you snoring and makes sure that you get enough oxygen when asleep. However the air is dried by the pump, and can result in a dry mouth at night, unfortunately even more than from snoring alone! Bite splint for night use. You may have a bite splint to help stop you grinding or clenching your teeth at night, or you may have an orthodontic retainer. Both these things will tend to make you sleep with your mouth open. Breathing difficulties such as blocked nose. This means that you have some sort of physical problem with air actually getting through your nose. All these things can be made worse by a dry atmosphere in your bedroom, either from living in a very dry climate or else caused by central heating or air-conditioning. What things can we do to get some dry mouth relief? If medications are involved, try talking to your doctor about this. He may be able to adjust the dose to reduce the effects, or even switch to an alternative medication that has fewer side effects. Snoring. If you are snoring, then you should speak to your doctor. For a lot of people over 50 years of age, snoring can have serious side-effects on your general health. I strongly recommend that you read about the Best Anti Snoring device at this page. If you choose to see your doctor, he may arrange for you to have a sleep study, which will accurately show how much you are snoring, and how it affects your breathing. You may then be recommended to get an anti-snoring device such as the one from VitalSleep in the image link above, to wear at night. Or he may recommend a CPAP machine. CPAP. This will almost certainly make your mouth dry at night. Using a rinse or mouthwash from Biotene or Oramoist just before putting on the CPAP mask can help. If you wear any sort of bite splint or retainer at night, the same thing applies. If you tend to wake up with a dry mouth, you may find that you can reduce this by using a Biotene rinse before falling asleep. Alternatively, the "disk" from Oramoist may work well for you. If the air in your home tends to be very dry, you can help to reduce the effects by getting a room vaporiser or humidifier. Research has shown that keeping the humidity of your home at around 40% - 50% reduces the survival of influenza-causing viruses in the air and on surfaces around your home. Here is a link to a room humidifier that I really like! You can have this close to your bed, and it releases a fine water vapor into the air through the night. So even if you are still mouth-breathing a bit, you are getting moist air rather than bone-dry air. In the search for what causes dry mouth at night, you'll need to go through my list above and see if any of these things apply to you. Good luck!